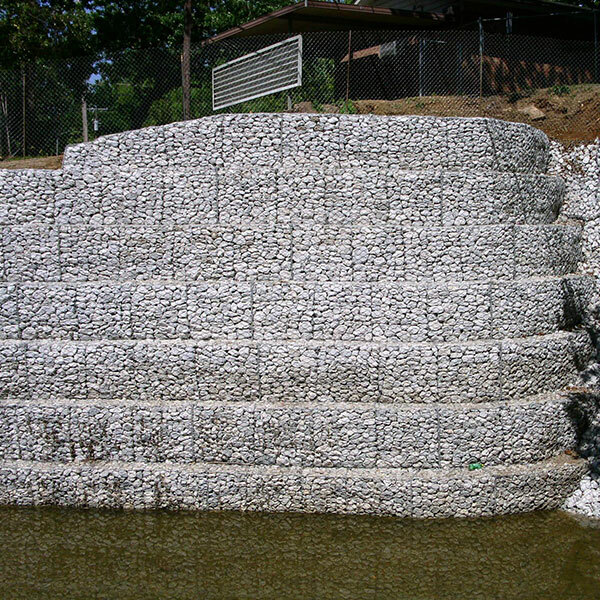 Gabion baskets and Reno mattresses are wire baskets available in various sizes and dimensions. They contain internal diaphragms that are filled on the jobsite with stone and linked together, thus creating a strong, permeable, flexible earth retention structure. Reno mattresses are similar in construction to gabion baskets except that these units are relatively wider, with less depth. They are often used as revetment mats, channel linings, sea walls, weirs or as a foundation under gabion baskets. Since gabion baskets and Reno mattresses are easy to assemble, they require no skilled labor. They can also be filled with material already onsite. As a result, there is no need to purchase additional fill making them a cost-effective option for your project. Selection of gabion basket and Reno mattresses is based upon both the application and jobsite conditions. Please call our sales office at 609-971-8810 ​ for more information. We welcome the opportunity to be of service. Woven wire gabion baskets and Reno mattresses are manufactured from heavy gauge double-twisted hexagonal steel wire mesh. 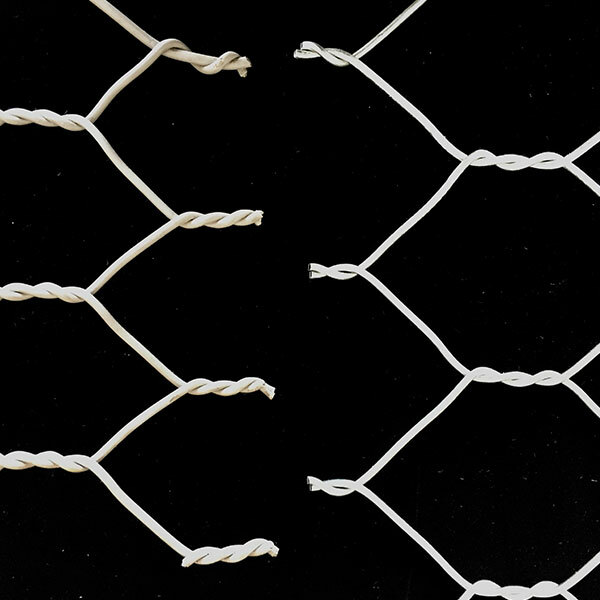 The heavy gauge woven wire provides reinforcement along the edges, while the flexible structure allows them to twist and conform to the changes in the land. Double-twisted hexagonal steel wire mesh which is galvanized zinc coated prior to being double-twisted into mesh. The fasteners and lacing wire also consist of the same zinc coated wire. 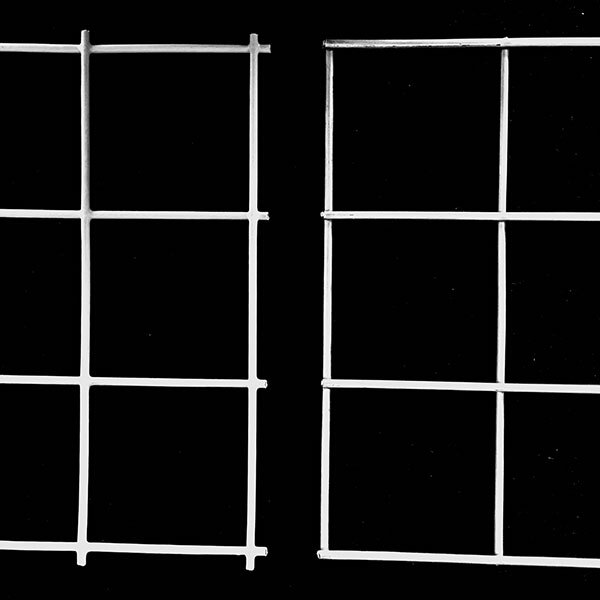 Double-twisted hexagonal wire mesh made from the same steel galvanized zinc coated wire with an additional Poly Vinyl Coating (PVC). The fasteners are also stainless steel and the lacing wire is the same PVC coating as the mesh. 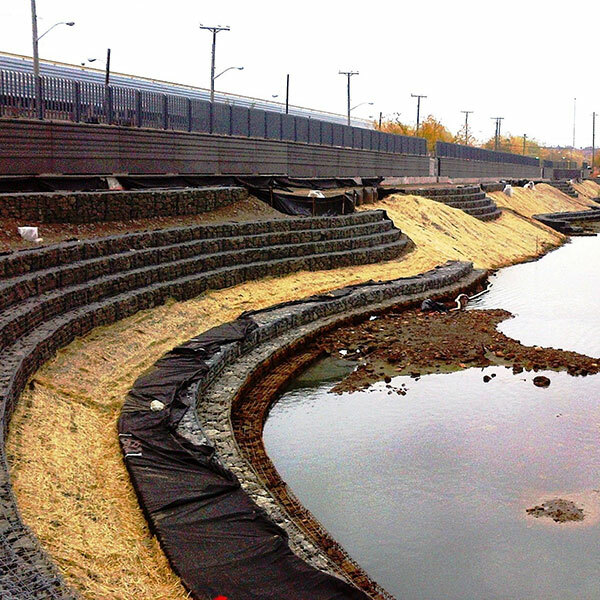 Welded wire gabion baskets and Reno mattresses offer the same flexibility as twisted mesh gabions but with greater strength and resistance to corrosion. Their structures are more rigid so that they retain their shape easier even when filled with heavy stones. Manufactured from galvanized steel wire that is welded into uniform square sections. Wire for fabrication and assembly shall be hot-dipped and galvanized as well. Manufactured from galvanized steel wire that is coated by fusion bonded PVC material.Wire for fabrication and assembly receive the same fusion bonded PVC coating. Products that can withstand environmental stresses such as channel or foundation shifts, soil pressure and impact of high velocity waves are essential to the success of a project. Due to the flexibility of the wire, the gabion baskets and Reno mattresses settle, twist and conform to the changes in the land. In addition, the strength of the wire contains the fill material while resisting the pressures put upon them. 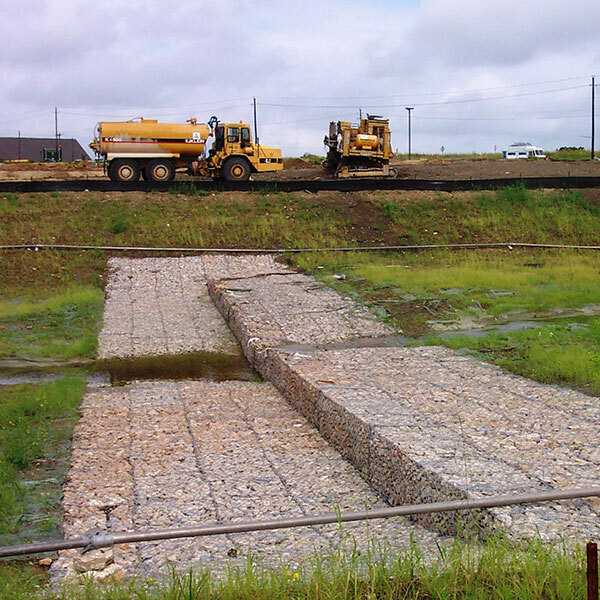 Consider using a geotextile as a separation layer or inside to reduce the amount of fill. Vegetating gabion baskets and Reno mattresses also makes them a good choice for bioengineering projects. Disclaimer: These guidelines are for informational purposes only and are intended as illustration or general information only and are not intended as a guarantee or warranty. IWT assumes no responsibilities in connection with the use of this information.